Marketing is one of the world’s most competitive fields. It’s equally true whether one is studying marketing as a goal, or as a means to another end. But mastering content marketing is far easier when one has the help of expert instructors. 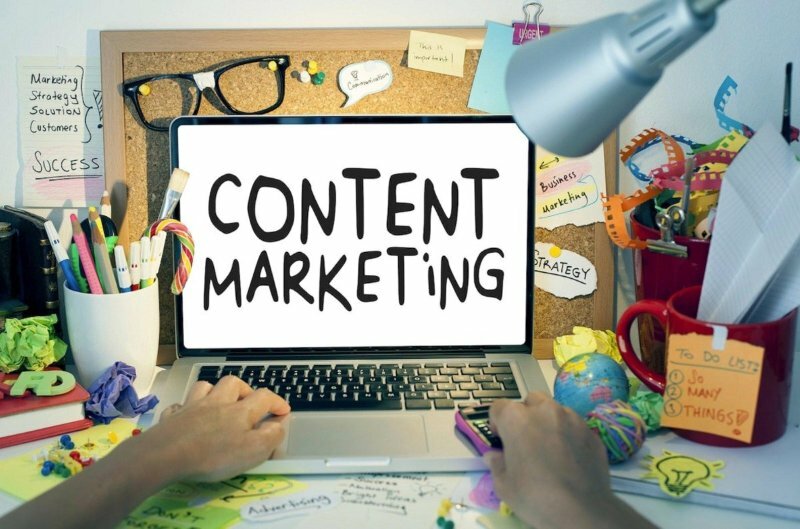 In the following list we’ll look at the best content marketing courses online. They’ll help one move forward in a career, expand existing resumes and ultimately promote personal success. Additionally, we’ll examine a course’s overall cost and whether or not it provides certification. One can think of the Hubspot Content Marketing Certification as a jack of all trades. It doesn’t place special emphasis on any particular aspect of content marketing. At the same time though, this lack of specialty makes it perfect for newcomers. Students can sign up for free at Certification.hubspot.com. One can then look forward to ten full classes. After the tenth class students can take the exam. Students who pass the exam will earn their certification. The biggest downside is the course’s overall brevity. It puts heavy emphasis on getting students ready to take the exam. This might not be a good match for students who want more in depth lectures. Marketmotive’s Advanced Content Marketing Certification Training lives up to the name. It’s among the more advanced options for content marketing courses online. Signing up at Marketmotive.com costs $299. However, this comes with a full seven day money back guarantee. Advanced Content Marketing’s main advantage is complexity. It’s one of the few courses which really delve into the complex psychology involved with marketing. The course goes into every possible permutation of content marketing. It covers everything from technical matters involving computers all the way to strategic design choices. Students can take the mobile marketing exam at the end of a course to receive certification. The course’s cost is the most notable disadvantage. At $299 it’s easily the most expensive course on the list. It might not be the best choice for people who don’t need an in depth look into the field. But this course should rank higher for students who need expert education in multiple content marketing strategies. The Online Marketing Institute is a great resource for people who want to explore content marketing. It allows students a chance to explore many different subjects related to online marketing. However, students should consider beginning with a Content Storytelling class. Students can sign up for the class at Onlinemarketinginstitute.org. The institute does offer a free four week trial. After that the course access costs $27 for a basic account. This fee may go up with additional options such as full team access. The biggest advantage of their Content Storytelling class comes from a rare approach to the subject. People often forget that content marketing is just an extension of basic storytelling. This class helps students create entertaining narratives which can pull in readers. The most significant disadvantage comes from the institute’s flexibility. Sometimes one will find flexibility incredibly helpful. But some students might prefer to have a full course load prepared for them in advance. Lynda provides a highly structured course that touches on most aspects of content marketing. Students usually find that the course’s most distinctive feature comes from overall structure. Many of the other options provide students with an unlimited selection of courses. But this isn’t always useful when students are unsure of their overall academic path. Lynda is one of the best content marketing courses online due to a predesigned schedule. A $25 monthly fee gives students the opportunity to go through an expert designed course. The plan includes over nine hours of lectures, exams and certification. One can sign up at Lynda.com. However, students who prefer more flexibility in course design might find it somewhat constraining. The viability is largely dependent on a student’s individual learning style. Students can find Skillshare’s Becoming a Better Blogger class at Skillshare.com. One will find that the course offers a great return on investment. The signup fee is only $15 per month. That fee opens up around fifteen hours of lectures. Students should expect to devote around three months to the course. This might seem like a lot of time at first. But every step gives students new resources, exams and opportunities to learn from experts. Skillshare's main downside comes from overall focus. The course’s overall scope does place it among the best content marketing courses online. But it also places a heavy emphasis on marketing through blogging platforms. Students who aren’t especially interested in blogging might find that focus somewhat limiting. Coursera ranks among the most trusted names in online education. It’s little surprise than that they rank among the best content marketing courses online. Coursera offers a few different classes which relate to content marketing. But a student should begin with their Strategy of Content Marketing course. The $50 class is found at Coursera.com. Probably the biggest advantage comes from the people involved. Most people consider Coursera to be among the most respected online educational facilities. But this specific course also utilizes resources from UC Davis. A combination of the two produces powerful benefits for students. The only downside to the course comes from length. People who want to handle things quickly might not enjoy Coursera’s schedule. The class takes a full five weeks to finish. However, the overall amount of hours spent on it per week is low. Students can expect around two to three hours per week. One can usually find Udemy near the top of any online course ranking. It’s one of the best content marketing courses online in large part due to the institution itself. Udemy has a long and extensive history with certification courses. Any course on Udemy benefits from their experience within the field. Their free content marketing course can be found at Udemy.com. It includes an exam at the end of the course. Assuming one passes than he or she will earn a full certification. Udemy's biggest downside is length. The lecture component for the course is only 3.5 hours long. Udemy does manage to provide lots of information in a concise fashion. However, the course might prove to be too short for some people. In conclusion, it’s easy to see that there’s a wide variety of options out there. Some courses are free while others require a considerable monetary investment. Many courses offer a quick overview while others go into exacting detail. People usually find that discussing real world experiences helps them determine their best match. Anyone who’s worked with these courses should share what they liked about them. In doing so it’ll help others find their own personal best of the best.